The first Skate Rising by EXPOSURE Skate of 2017 in the San Diego area was epic. 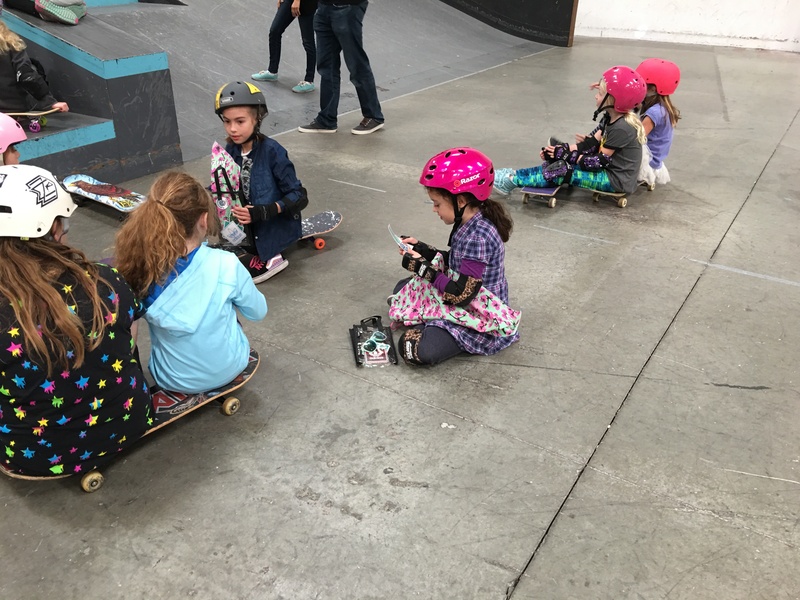 65 girls came out to skateboard for fun and they all kept it super stylish. Huge thanks to Allie Wagner & the KUSI Crew who came out to share the event on Good Morning San Diego. 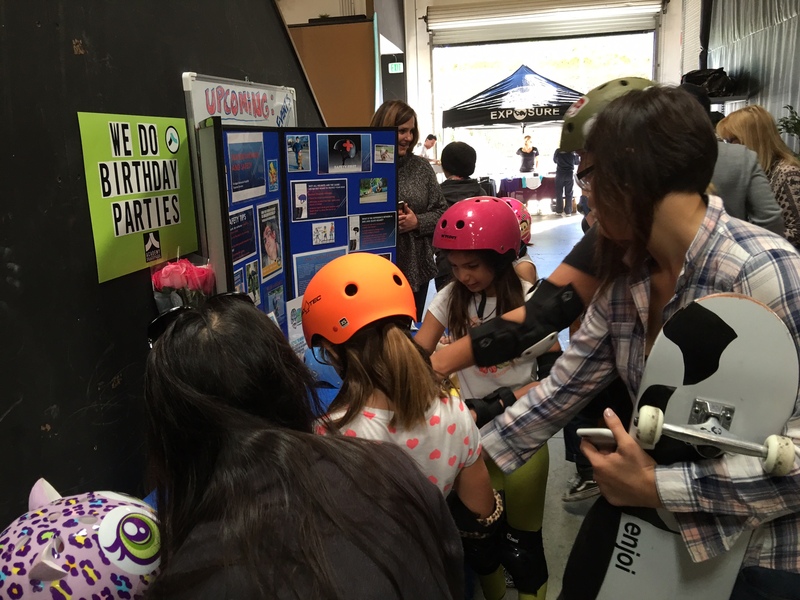 More girls do skateboard when they see girls skateboarding and find out about fun & inclusive events. Click below to see some of her coverage. 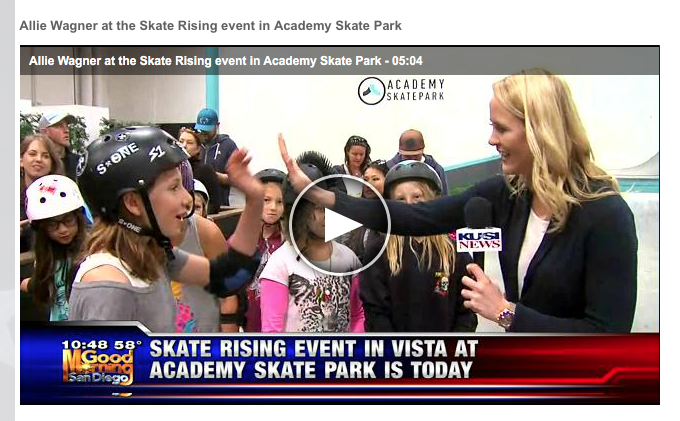 I always love how Allie & all of KUSI promote the youth, encourage them to chase their passions & get involved. 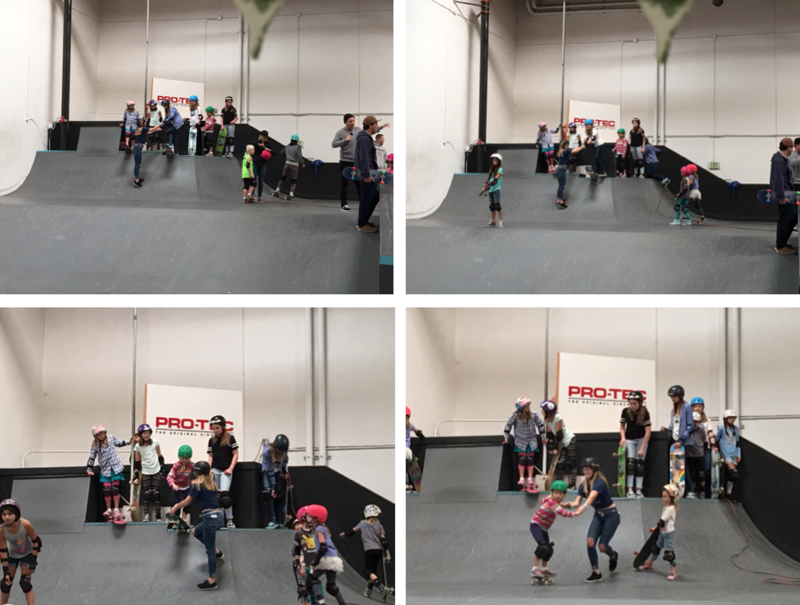 The event was at Academy Skatepark in Vista. Thanks to Neal Mims for opening the doors and keeping the girls dry – it’s been more Seattle than San Diego weather this January. 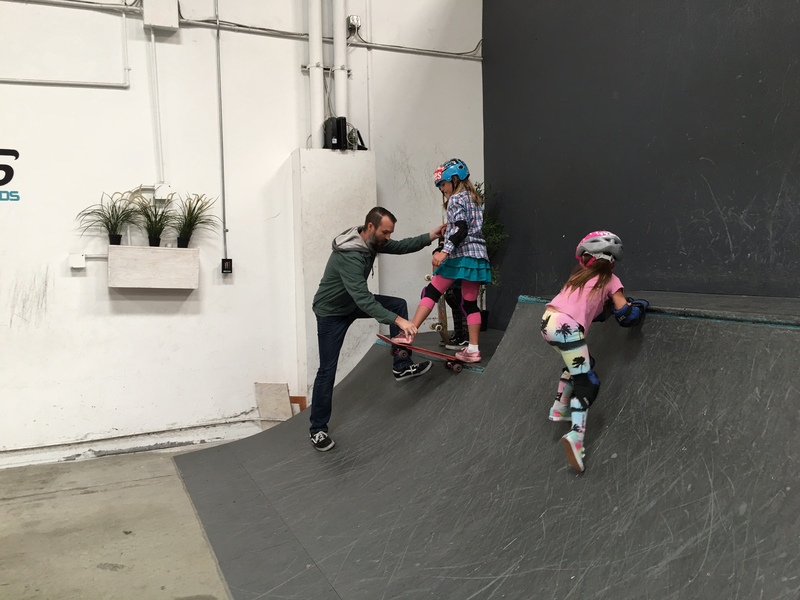 Plus huge thanks to his entire staff for offering help and tips to skater girls of all levels. She encouraged the girls to protect what matters most – their brains aka Grey Matter. 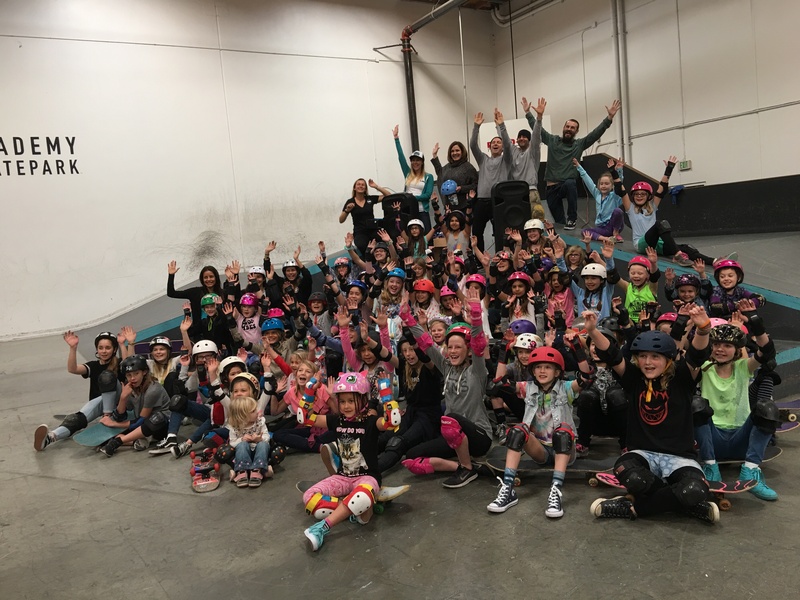 She also encouraged them to make their own decision to wear a helmet & not be swayed by peer pressure that might say helmets aren’t cool or only for little kids. After Paige’s son was injured, he was treated at Rady Children’s Hospital. So, it was fitting that this month’s Skate Rising Service Project was making activity bags for the patients. Rady Children’s Hospital-San Diego is a nonprofit, 551-bed pediatric-care facility . . . . . the only hospital in the San Diego area dedicated exclusively to pediatric healthcare and the region’s only designated pediatric trauma center. 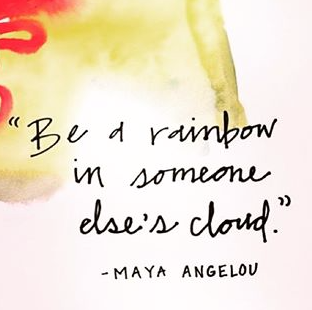 As you can imagine, it can be overwhelming to stay at the hospital, so the activity kits with items like crayons are meant to bring a smile to the patients’ faces. The girls also included notes of encouragement in the bags. Why take the time to make an activity bag for someone you don’t know and will never meet? 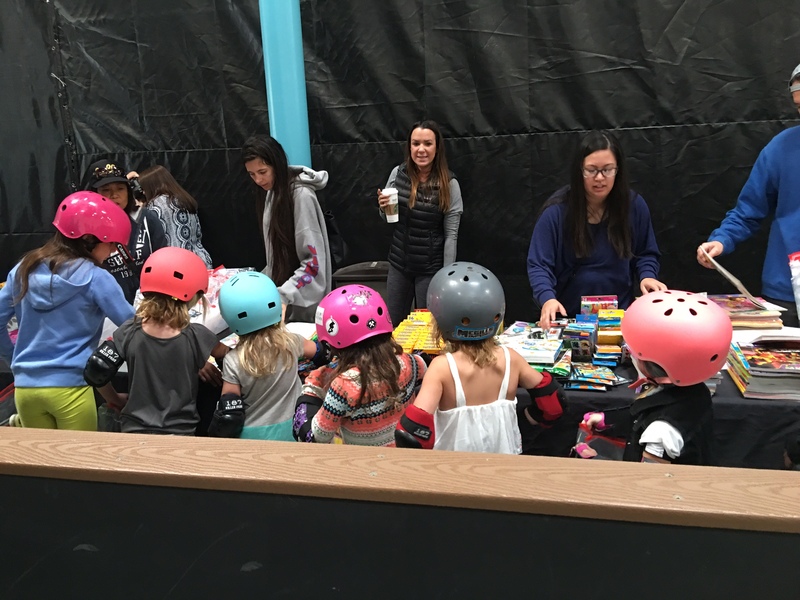 What I like best about blogging about the Skate Rising events is that they teach and model kindness. Each monthly event is about including all the girls at all skill levels. Even if you haven’t stepped on a skateboard, you are welcome. Thanks to SkateXS for loaning boards to those who don’t yet have one. I 100% believe in the importance of having a safe space to learn anything. Nobody enjoys being with bullies who judge and tease you, while everyone likes being encouraged. Time and time again I see the volunteers and the girls themselves helping each other and the most amazing things happen. 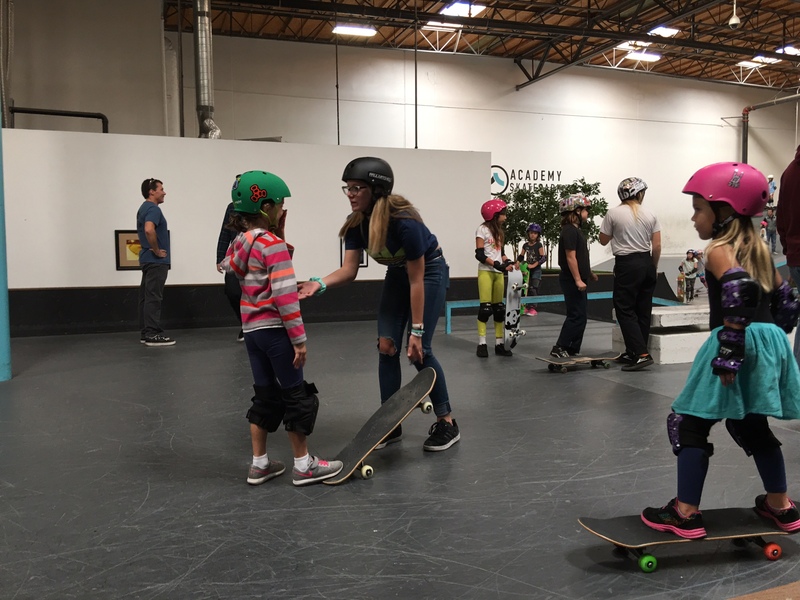 Girls helping each other & cheering each other on is stylish on & off the board. 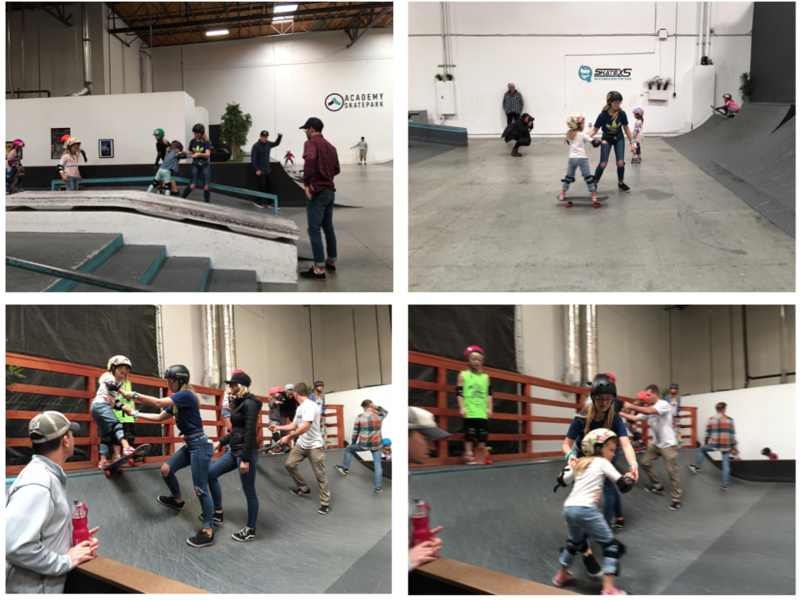 The self-confidence you learn from skateboarding goes with you throughout life and the friends you make through skateboarding can be friends for life. The event ended with a raffle. All Skate Rising events are free, including the raffle, all you have to do is come & participate. Huge thank you to all the sponsors who make that possible. 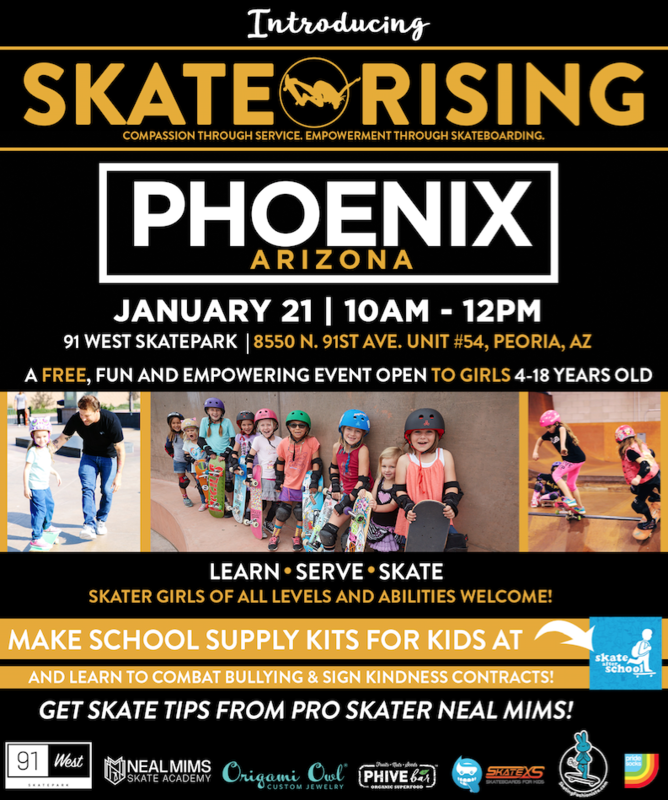 Thanks to a mom reaching out from Arizona there will be a Skate Rising event next Saturday at 91 West Skatepark. Till next time keep it stylish on & off the board and remember if you want to share your pictures & stories of why skateboarding is fun and good for girls just let me know. Great article! Thank you for always being such a positive influence for the girls and the entire skate community!